The DJ-808 is a state-of-the-art DJ controller with a 4-channel mixer, built-in drum sequencing, vocal processing, and the deepest Serato DJ Pro integration available. Going way beyond a typical DJ controller, the DJ-808 is an instrument, with a Roland “TR-S” drum machine that contains the world’s most iconic drum sounds. Standalone professional 4-channel digital mixer with selectable inputs for 4x PC, 2x Phono/Line and 2x USB/Line. Built-in Roland TR-S drum machine with 606, 707, 808, 909 kicks, snares, claps and hi-hats. 16 step sequencer with 16 patterns for sequencing the TR-S drum machine and Serato sampler. Built-in VT Voice Transformer with Pitch, Formant, Ducking, Reverb and Serato key matching. Velocity sensitive RGB colour pads for Hot Cues, Loop Rolls, Sampler, Pitch Play, TR-S control and more. 4 high quality integrated Channel FX including Dub Echo, Jet, Noise and Filter. Connect external instruments via MIDI or AIRA Link USB and jam along with Serato DJ. Super low latency platters that come with integrated displays and playback status. 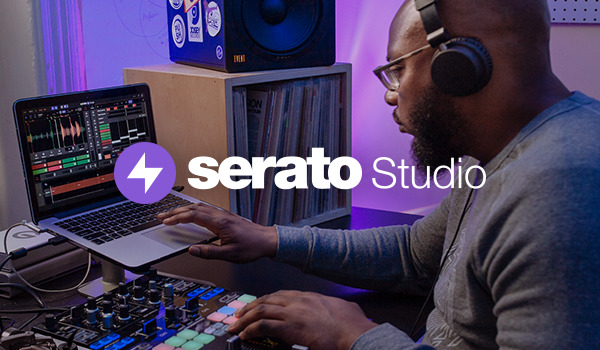 Dedicated control of Serato DJ FX powered by iZotope for each channel, TR-S drum sequencer and external inputs.